Age. 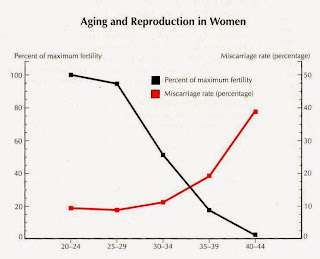 A woman's fertility gradually declines with age, especially in her mid-30s, and it drops rapidly after age 37. Infertility in older women may be due to the number and quality of eggs, or to health problems that affect fertility. Men over age 40 may be less fertile than younger men are and may have higher rates of certain medical conditions in offspring, such as psychiatric disorders or certain cancers. Alcohol use. For women, there's no safe level of alcohol use during conception or pregnancy. Avoid alcohol if you're planning to become pregnant. Alcohol use increases the risk of birth defects, and may contribute to infertility. 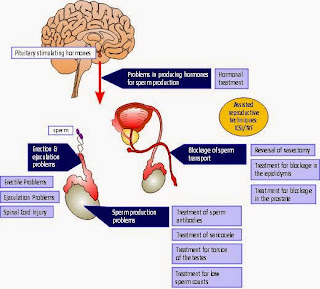 For men, heavy alcohol use can decrease sperm count and motility. Being overweight. Among American women, an inactive lifestyle and being overweight may increase the risk of infertility. A man's sperm count may also be affected if he is overweight. 1.... Over weight or under weight couples will face lot of problem to conceive, even if conceived they may face many lot of problems during their pregnancy and delivery. 3... Couples before conceiving should maintain Healthy weight with Healthy habits. 5.. Under weight couples need to supply their bodies required nutrients daily to become normal. It is only possible with your healthy habits, healthy food.